Preheat the oven to 350 degrees with the broiler setting on. Place the 16 marshmallows in a baking pan and take to the oven. Let them roast (about 8 minutes) and take out of the oven. In a blender place ice cream, heavy cream and milk and pulse until combined. 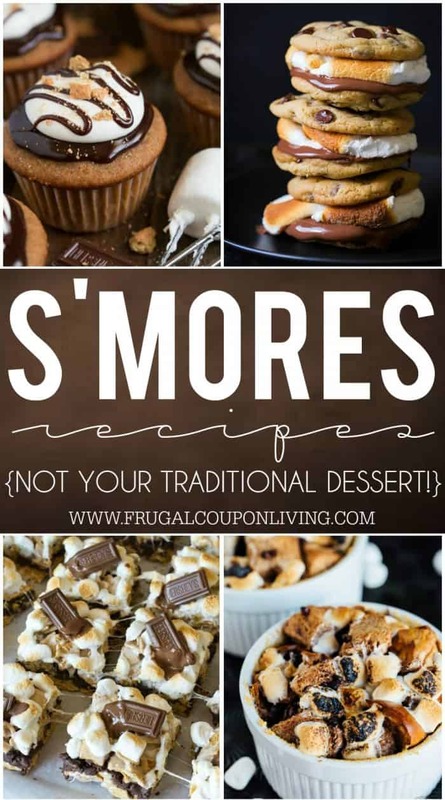 Add the roasted marshmallows and the chocolate syrup and pulse until everything is mixed. Pour into glasses and decorate with the mini marshmallows, graham crumbs and chocolate shavings. 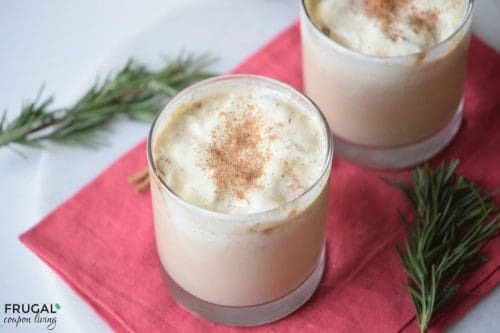 We added some nutmeg to ours. Tips: You can substitute the chocolate syrup for 4 Tbsp cocoa powder + 2 Tbsp sugar. To the glass of a blender add the ice cream, heavy cream and milk and pulse until combined. 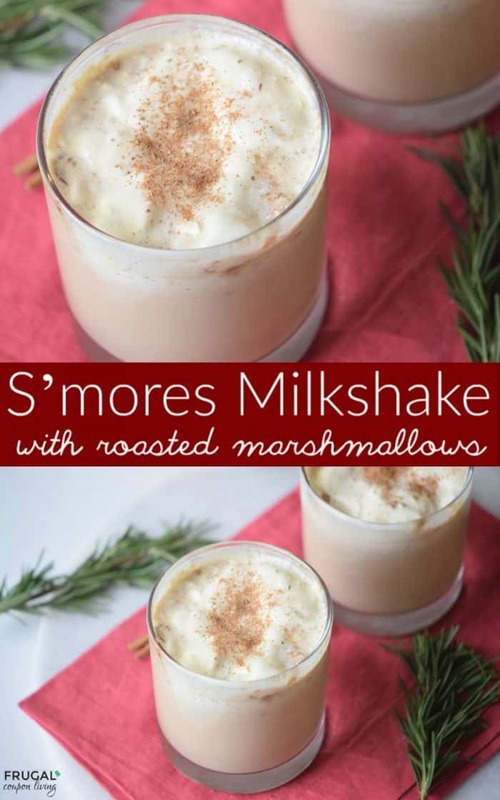 Add the roasted marshmallows and the chocolate syrup and pulse until everything is incorporated. Pour into glasses and decorate with the mini marshmallows, graham crumbs and chocolate shavings. This is one of our favorites! 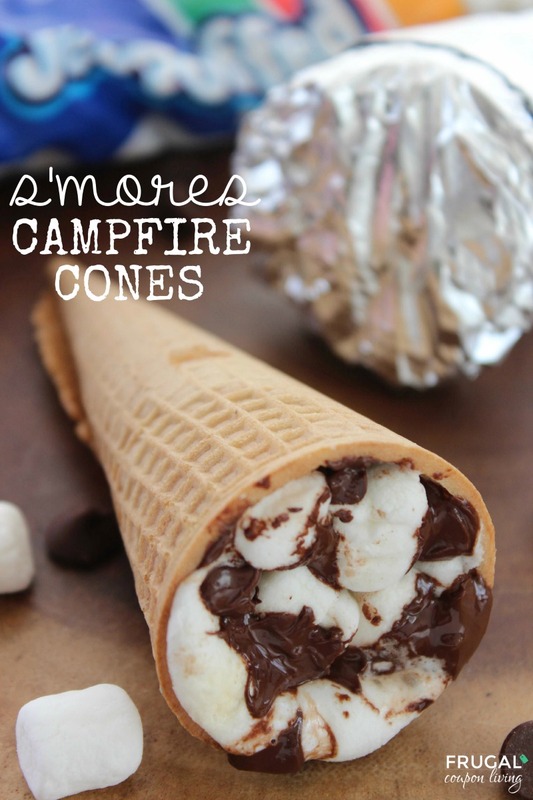 S’mores Campfire Cones, don’t necessarily have to have a campfire. Serve anytime! Pin to Pinterest. 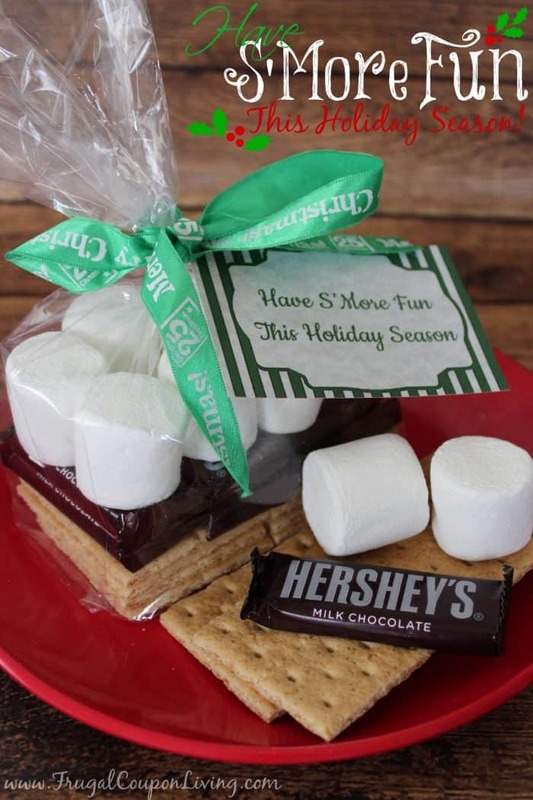 Also take a look at our S’mores Gift Bag with FREE Holiday Gift Tag Printable. Pin to Pinterest.